The ADC-V726 Mini Bullet Camera is perfect for indoor and outdoor video surveillance. It features a discreet, compact design, 1080P HD recording quality, and night vision for capturing video in dark settings. The ADC-VC726 also integrates perfectly with Alarm.com. Buy the ADC-VC726 here. The Alarm.com ADC-VC726 Indoor/Outdoor Mini Bullet Camera is ideal for capturing high-quality video for both commercial and residential environments. Its compact design allows it to go unnoticed, and its 1080P HD recording capabilities produce crisp, clean video every single time. One aspect we really love about the ADC-VC726 is that it proves that video surveillance can truly be simple. This small and discreet camera is very easy for DIY users to install, and it impresses everyone with its incredible high-definition recording quality. With its IP67 weatherproof rating, you can install this camera anywhere with confidence, and be sure that it will take whatever nature can dish out. The device is waterproof and dust tight, and can operate safely in temperatures up to 140° Fahrenheit. The camera boasts an impressive viewing angle of 86° and a 4mm F1.6 lens. It has an IR night vision range of up to 95 feet away for recording in the dark. The device can be set up for a continuous 24 hour recording schedule with the use of a stream video recorder. With its power over ethernet (PoE) capabilities, the device will receive full electrical power from just a simple ethernet connection. All of the hardware needed to mount the camera is included, and the quick and easy installation process can be completed by a DIY user. Simply mount the bracket and secure the bullet camera. At 2.76" wide and 6.1" long, the ADC-VC726 is truly one of the most discreet cameras we have ever seen. It will be discreetly and silently capturing videos, and those captured in the recording won't have any idea. The camera weighs less than a pound, but it really packs some high-tech equipment into a little package. 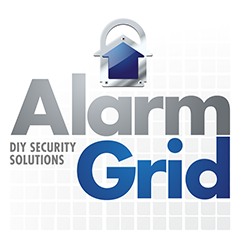 Overall, this device is outstanding for Alarm.com users who want an indoor or outdoor PoE camera, with a compact bullet design, and tremendous recording and video-production capabilities. This is truly one of the best security and video surveillance cameras available on the market today. Do I Need Internet for a WIFI Camera?